Eve Bailey has been asked to participate again this fall at the Dumbo Arts Festival – held between September 28th and 30th. 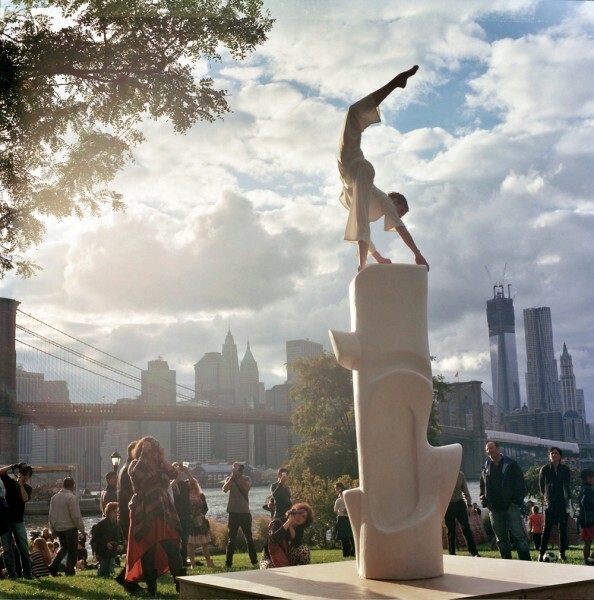 Her new work, entitled Entasis Dance, was created specifically for the scenic Brooklyn Bridge Park Park (at Main Street), located at the base of the Manhattan Bridge. Performances of Entasis Dance will take place on Friday, September 28th at 6 PM and at the top of the hour on Saturday, September 29th and Sunday, September 30th from noon to 6 PM. Dancers: Jenny Campbell, Andrea-Jane Dispenziere, Coco Karol, Lynda Senisi. Costumes: Anna Finke.